On behalf of Admin of JML Law, A Professional Law Corporation posted in Sexual Harassment on Saturday, Aug 25 2018. When the topic of workplace sexual harassment comes up, you may think of men inappropriately touching or speaking to female coworkers, but it’s not uncommon for men to find themselves on the receiving end of sexually inappropriate touching or suggestions at work as well. Can men be sexually harassed in the workplace and should they report it if it occurs? Yes and yes! Men and women alike have the right to work in an environment that is free from sexual harassment. Sexual harassment can be extremely damaging especially if it’s not stopped right away. Federal and California State protections are in place so that victims don’t have to suffer at the hands of their workplace harassers and victims may seek compensation for their injuries. Fear of retaliation – Victims are afraid that they may be fired or that their potential success may be hindered by not getting promotions or raises if they report sexual harassment. 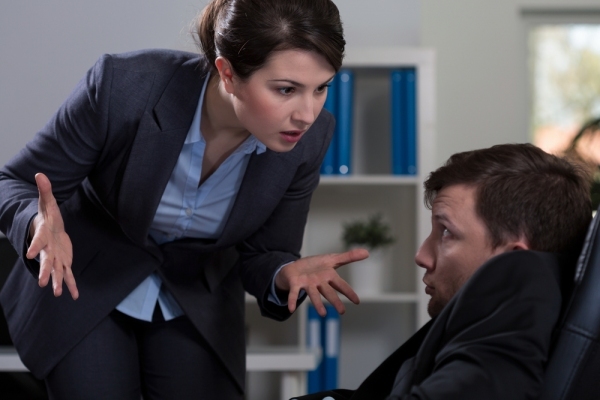 Looking like a complainer or troublemaker – Victims don’t want coworkers or superiors to view them as being a complainer or an employee who stirs up trouble at work. Fear of not being believed – On top of all of the other potential negative consequences for reporting sexual harassment in the workplace, victims worry about being branded a liar if and when the harasser denies any wrongdoing. Stigma – Victims worry about stigmas that may develop if they report workplace sexual harassment. Embarrassment – Let’s face it, reporting sexual harassment can cause serious embarrassment for victims. They may be embarrassed to describe the harassing conduct that took place or they may be embarrassed that someone made them into a victim. Fear of being mocked – Unfortunately, victims are afraid of being mocked by their coworkers and superiors for reporting sexual harassment. Fear of being judged – Victims worry that they will be judged as being promiscuous or that they somehow asked for the unwanted conduct to take place. Sometimes victims worry that coworkers will make assumptions about their sexuality if they report sexual harassment. California defines sexual harassment as unwanted sexual advances or visual, verbal or physical conduct of a sexual nature. If you believe you are a victim of workplace sexual harassment, you do not need to suffer through it alone. Call our Los Angeles sexual harassment attorney, at JML Law. We can help at any step of the way in exercising your right to work in an environment free from sexual harassment. Schedule a consultation to discuss questions you may have including whether or not you have been sexually harassed, what you need to do to protect yourself, preparing to file a complaint, filing charges against your employer for improperly handling your sexual harassment complaint, or being on the receiving end of employer retaliation.